When HTC was turning out handsets like the HTC Touch Pro, HTC Touch Diamond, HTC Imagio and the HTC HD2 (to name a few), all of those devices were powered by Windows Mobile. 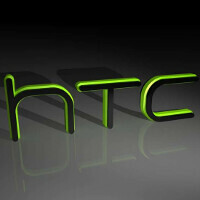 Eventually, HTC would manufacture the first Android handset (T-Mobile G1) and the first Nexus phone (Nexus One). For a while, HTC stuck with Android until it released the Windows Phone version of the HTC One (M8). While HTC is not giving up on Android, a job posting by Microsoft indicates that the manufacturer is returning to its roots once again. The software giant is looking for a Director of Account Management in Taipei, Taiwan. Microsoft says that this person will report to the Director of Device Sales in Shenzhen, China, and will be charged with leading "all aspects of sales and business development interaction with HTC." The posting called HTC one of Microsoft's top third-party phone device partners. Originally published late last year, the posting says that the goal of the job is to "build product portfolio that highlight focused user scenarios around our Windows 10 Mobile and Microsoft services combined with HTC’s devices, applications, and services." Since the date of that post, HTC has continued to release disappointing financials and co-founder/CEO Cher Wang has expressed HTC's excitement about VR. Still, the company has an exciting 2016 planned, if recent rumors about it delivering a pair of Nexus handsets this year is true. And perhaps there is even time for the company to churn out a Windows 10 Mobile powered handset. for anybody that says WP is dead you are wrong!!! look at the announcements the last few weeks say otherwise. When they say that, I'm pretty sure they mean from the standpoint of declining sales & shrinking market share, the fact that Microsoft is treating their apps on other OSs better than on their own, and the massive layoffs for their mobile division. Windows phone isn't quite dead, but I'm not entirely sure for how much longer it will be a viable platform. That being said, I wish Microsoft the best and hope they improve their situation. I really liked my 920 when I had it and I played with my aunts 1020/1520 frequently, but I eventually had to move on for a whole host of reasons. Here's hoping they finally get things off the ground after many years of effort in the mobile space. But to be realistic, I don't think it will happen. That's because every other Microsoft business divisions is making good money. WP survived on the charity of those other divisions. Remember, the early days of Xbox division when its losing money, its was reveal in numerous interviews that the rest of Microsoft look down on them. Business need to make money to justify its existent and until they do its not viable for an average consumer to put their money down for it. That's is before Windows 10 spying issue. Now, every tech savvy individual would use every anti-spying tools available to protect ourselves from Microsoft. WP10, i simply don't have time for you. Windows is surviving because of Android. They make over a billion dollars each year from royalties. Not that much from recent time because Microsoft is giving manufacturers a choice between paying them or bundling their office apps. Most manufacturers choose to bundle Microsoft apps. Which is strange consider I am willing to install office into my Android devices. It's actually a very useful suit. Only a moron would actively seek out and buy a high end Windows Phone today. Microsoft is to dumb to pull out. They just keep making mistake after mistake each year. Please be respectful. It's their money their choice. Agree AND Disagree.. as the owner of 950XL.. I tried Android phones.. I just don't like them. I also rarely find a app I NEED that isnt on WindowsPhone ( The one I NEED is Verizon Fios.. but I live without it ) But agree they keep making mistakes and are trying to kill the product. IF I could skin a Android OS to look like WP In the front end I would gladly switch. To be honest it shouldnt be that hard with widgets and such. Maybe HTC can do it for us. ''For a while, HTC stuck with Android until it released the Windows Phone version of the HTC One (M8)'' Wrong! HTC released different Windows Phone prior to the M8. Like HD7, Titan, 8S, and 8X. Help This Company Htc you should concentrate on android You are the company which need large marketshare Don't do something which can't help your marketshare You should enter w.m after many companies participate in w.m mobile. WP still has potential but A major OEM like Samsung should get on board. But I don't see that coming as already they are fully vested in Android and Tizen. Windows Phone is total crap. I have been using a Lumia 640 for the last 3 months and I can say this is the worst OS that I have ever used. There are so many limitations! You cannot download stuff in the background. There are no official Apps like YouTube and Hangouts or perhaps Snapchat and even the ones that are there, like Instagram, are never updated. Plus, there is no reason for one to buy a Windows Phone even if you rely on Microsoft services like Skype and Office because Microsoft themselves have made better Apps for iOS and Android. WP may not be dead. But it seems Microsoft themselves are killing it softly.